As this posts, I’m stretching my writing muscles. Doing something I’ve never attempted before. Writing a screenplay for a contest. It’s not something I’d ever put thought into. After all, I’m a non-fiction author, although my work is story-rich. But I do have these fascinating plot thoughts that simply won’t go away. So what’s a writer to do with them? And the timing is right. 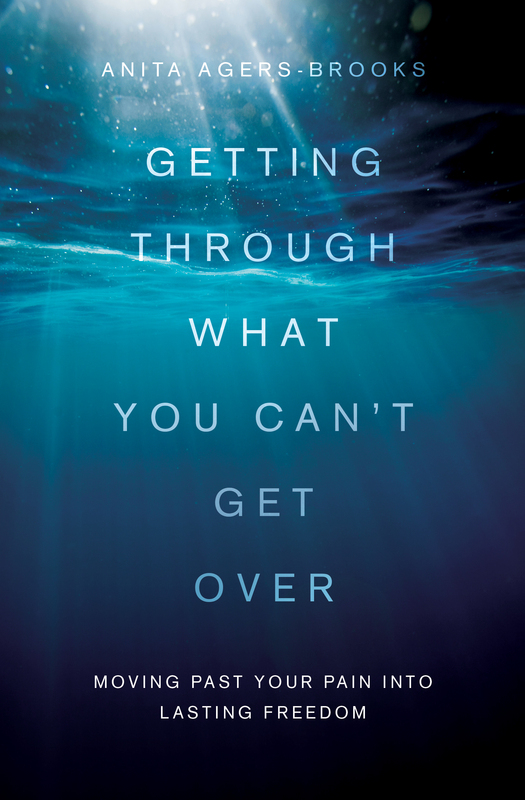 I just finished writing a book I’m very passionate about called Getting Through What You Can’t Get Over, releasing through Barbour Publishing in April, 2015. I’m totally jazzed about Getting Through, but I’m also drained. It takes a lot to wade into soul-deep true stories of people who’ve experienced unwanted tragedy — many of them my own. And as I prepare to work on my next non-fiction project, another soul-wrenching work speaking life into hurting people, I need a mental boost. So I’m challenging myself in an out-of-the-box way. I’m screenwriting for seven days in the 168 Film Project, Write of Passage contest. But right before I started, something very interesting happened. And I wondered if God had hinted at all of this in the past, although I’d forgotten. It was October, 2010, and I was in South Carolina on the cusp of discovering a life-changing secret about my identity. Though DNA tests wouldn’t confirm it for several days, I would soon learn my dad isn’t my biological father. At forty-six, the news blindsided me from left field. On this particular day, I was getting ready to visit my dad (the only father I’d ever known), and as I neared his house, I thought my heart might explode from its pounding. I needed to catch my breath before I faced my fears. It was Sunday evening, and I pulled into a plaza parking lot only two blocks from my dad’s house. The place was deserted, except for one vehicle. I glanced up and the license plate immediately caught my eye. I have no good explanation as to why, but I took a picture. 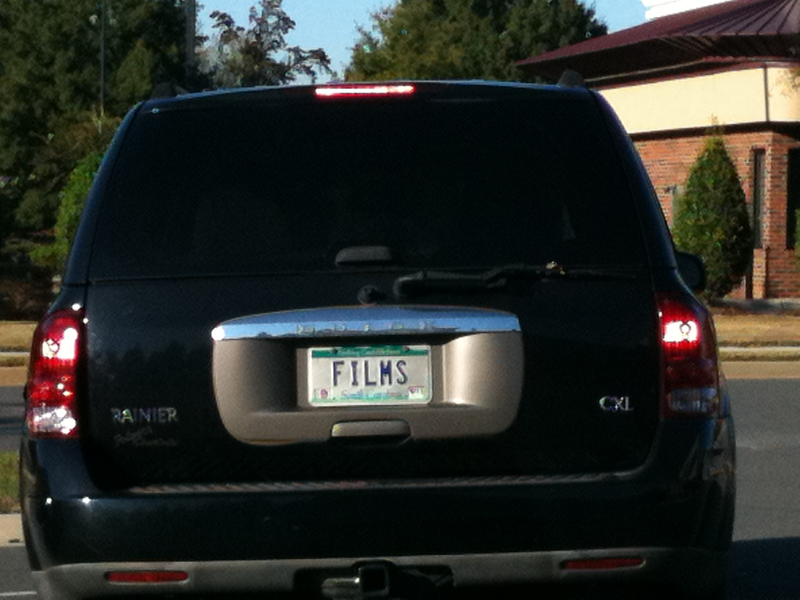 I thought the personalized plate was curious, and remember wondering if God was telling me something. But at the time, I hadn’t even signed with my literary agent, much less sold a book. Besides, I had bigger things on my mind, so I saved the digital photo in a file, and promptly forgot about it. Until recently. A few weeks ago, I ran across the picture while looking for something else. Then I realized I was getting ready to enter my first screenwriting contest. And I wondered…. Does it mean anything? Probably not. Could God have hinted to me all those years ago? Possibly so. Is it fun to consider? Absolutely yes. Whether anything comes from screenwriting or not, this is what I’ve realized. In order to infuse your writing with fresh wind, sometimes you need to do something totally off the wall, very different from what you’ve gotten used to. For a short time. So I’m not working on a screenplay because I hope to invent the next Hollywood blockbuster, I’m screenwriting for fun and energy. That way, when this contest is over, I’ll have new fodder to make my next book even better than the ones before. And maybe that’s what God had in mind all along. How do you stimulate your writing in creative new ways? This entry was posted in Encouragement, Writer's Life, Writing, Writing Craft and tagged 168 film, anita brooks, Creative writing, dna tests, getting through what you can't get over, screenwriting, screenwriting for fun, stimulate your writing, stretching writing muscles, write of passage, writing screenplays by Anita Agers-Brooks. Bookmark the permalink. I’m seriously considering NaNoWriMo this year, which is totally out of my comfort zone since I’m a nonfiction writer, too. I figured since I love to read fiction, I might as well try it. What do you think? Who else out there is going for NaNoWritMo? Wanna join me and be my “writing buddy”? I did NaNoWriMo one year, Karen, and it really helped my writing. Now that you say that, hmmmm. 🙂 Let me know how it goes for you. You KNOW I will, friend! Looking forward to reading your completed screenplay. What I’ve read so far ROCKS! My most recent off the wall situation involves my present WIP. It began sometime ago as non-fiction and I actually completed a good portion of it, trying two different perspectives. But things didn’t seem to be working and I was getting frustrated as I believe in the concept. So one day-out of the blue-it hit me. I need to tell the ‘story’ as fiction. What a surprise! I am now working from a new, deep well of creativity and energy. This would seem to be for more than a “short time,” as you describe, yet it feels right, so following my heart at the moment and trusting God with the outcome. Your experience with photograph must surely reflect a God-incident. Thanks for sharing! How exciting to discover that creative voice, Micky. I am so happy for you, and can’t wait to hear more about your current WIP. Keep us posted on the results. Praying your “long-term” change is transformational. Blessings on all of your writing endeavors.